When I get the sense that a client is carrying a heavy burden of family issues, unsaid words, built up negativity and unhealthy dynamics, I will invite them to consider doing one or more Family Constellation sessions. Inspired by a combination of the dysfunctional family system from John Bradshaw’s 1988 book and television series, On the Family and Bert Hellinger’s family constellations, I developed a way to work with individuals on their family and ancestral issues. A family is a system and when one family member is out of balance, each of the other family members adapts, in their own way, in an effort to maintain the survival of the family as a cohesive unit, or broken vessel, as the case may be. The goal of family constellation work, as with any approach involving visualized or role-played dialogue with significant figures in our lives, is to bring out the unresolved material, the things that did not get expressed, or resolved and that we are still carrying with us. The first thing I do when using this technique is to remind the client that the goal is healing and harmony. With this goal in mind, we may have negativity and blocked energy in regards to our family members. In order to liberate that energy, we need to express it at a gut level and allow it to come out in any way, shape and form it needs to, without censoring or judging ourselves for it. We may have some things to say that are not pleasant. This does not mean we wish ill on anyone or that we are lesser people for expressing negative emotions. There is a big difference between raging, venting and releasing stuck energy. With that said, I invite the client to close their eyes and invite their parents to appear in front of them as if they were hanging from a mobile. Their positioning, body language, facial expressions and any other particularities speak to us of the energy in those particular relationships; their relationships to each other and to the client doing the exercise. After exploring the significance and the resonance of these manifestations, I may evoke gestalt role-play. I invite the client to speak to the visualized images of their parents and family, straight from the heart. Sometimes a client starts out with an adult narrative, saying what they think, what they observe rather than what they feel. They may instinctually want to protect their parents, teach them about good parenting rather than heal their own emotional wounds. Since the roots of our unresolved issues are more on a feeling level, I try to help the client get in touch with and express themselves on an emotional/feeling level throughout the exercise. Usually what happens is that after expressing all of the pent-up negativity, saying all the things we needed our parents to hear and acknowledge is that deep love, gratitude, and other positive emotions come gushing forth. This is the same dynamic we come across in other techniques, we release the stuck energy and open the way for our deep, loving and congruent selves. During the process, I check in with the client from time to time to see how the image of their parents appears to them, to see if they have they shifted their positioning, their expression, their appearance in any other way. 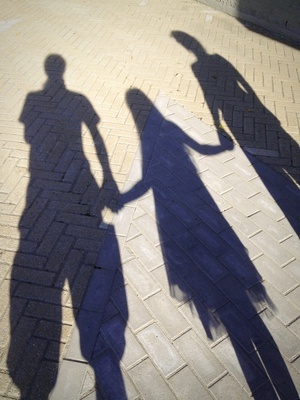 When the images appear in a positive light and the dynamic is harmonious, we are ready to move on and invite the siblings to participate in the same process. Similarly, in a family constellation workshop, we can also bring in the grandparents, ancestors and current family. In most cases, I find that one or at most two 90-minute sessions are enough for working in these areas especially since there is an overlap with the other techniques I use. Call or contact Margot to start your road to healing now. Just fill out the contact form and click SEND. 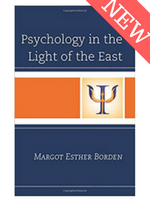 This article is from Margot Esther Borden, (2017), Psychology in the Light of the East, New York: Rowman & Littlefield, Chapter 9 – Techniques: An Integral Psychotherapy Toolbox. 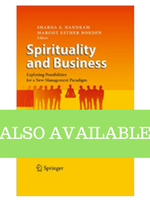 To order your copy click here.